Owing debt to the IRS is different from owing debt to any other company or bank. What happens when you default making payments to a bank or a credit card issuing company? All they would do is make some calls to remind you about the payments. Then they turn over your accounts to debt collection companies. But such peace is not the situation when you owe debt to the IRS. They will not leave you easily. Therefore you need to make sure that you take essential steps in order to get rid of your IRS debt woes. IRS debt is not a simple kind of debt which can be repaid through debt consolidation or any other debt relief option. Neither can you discharge such debts through bankruptcy nor can you easily get rid of them. Check out the concerns of this article to know the options that you can resort to. There are few installment agreements that you can resort to when you’re wondering about the ways in which you can repay your IRS tax debt. Check them out. Guaranteed installment agreements: The IRS will only agree to this installment plan when the total outstanding balance is $10,000 or less. Apart from that, there are some other criteria that you should take into account. For the last 5 years, you shouldn’t have filed late. All your tax returns should have been filed. You shouldn’t have had any installment agreement in the last 5 years. Always agree to file on time for all the future tax years. The minimum payment the IRS will accept will be the total outstanding balance which will be divided by thirty. Partial payment installment agreement: What is the option when the minimum payments can’t be afforded through the guaranteed or the streamlined agreements. You may opt for the partial installment agreement. Here you can make payments according to your affordability. However, you must qualify for this installment option. Offer in Compromise – Is this tax debt settlement? Just as you can settle your credit card debts, you can also settle your IRS tax debt through Offer in Compromise. Depending on your present financial situation, you will be given the option of repaying an amount which is much less than what you actually owe. The IRS may waive off a certain portion of your debts. This will therefore facilitate the entire debt repayment schedule. So, when it comes to repaying your IRS debts, you may find a solution in the above mentioned options. The sooner you repay them, the sooner you can understand the impact on your credit score. This entry was posted in Tax Savings and tagged IRS Acoounts on 2013/10/01 by ernie. Do the IRA accounts have any effect on debt settlement? 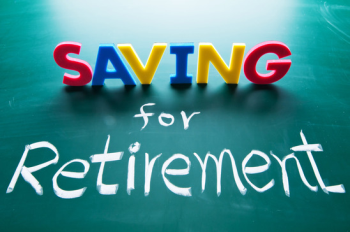 An IRA is considered to be one of the best options for you to save money for retirement. There are various benefits of saving money through IRA’s, and the main one is the tax benefit. However, the question is can the IRA account help you with managing debts? Does it in any way affect your debt settlement ability? You will be required to know all of the details regarding the IRA accounts. You will also need to know your total debt situation. Who you owe money to. How much you owe and how long it will take you to repay these debts. There mainly are two types of IRA accounts and these are the simple IRA and the Roth IRA accounts. Both of these have some forms of tax advantages, but the benefits differ on the basis of account type. Put money into your IRA account so that you can go on to lead a stress free retired life. However, can you use the money from the IRA accounts to manage your debts? First of all, if you aren’t aware of the complexities, the most obvious fact is reduction in the amount saved. When you will be withdrawing money from the IRA or the Roth IRA account, it is going to result in loss of the total amount saved. Another disadvantage is that if you withdraw money from the IRA accounts, you will have to pay tax on that. Still, if you are too deep in debt, and all other sources have been exhausted, using money from IRA accounts can help you avoid bankruptcy. The IRA accounts can help in improving your credibility to settle the debts. The IRA accounts have the capacity to stay put with the different types of retirement investments carriers like that of bonds and stocks, the money market funds and so on. Therefore, reaping the benefits becomes easy with the IRA account. Debt settlement is the process through which the outstanding debt amount gets settled. So, if you can settle the debts, it becomes easier to become debt free, as the amount gets lowered. 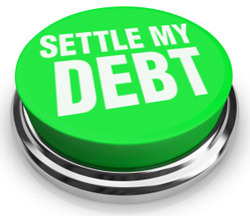 Although, not all creditors agree to settle the debts, you still can get some to settle debts. If you have been missing payments for quite a long time, and if you can exhibit that you are in serious financial hardship, and that there’s no way the creditor can get more than what you are offering; they may agree. Managing payments on a small debt is easier than a large debt. Therefore, if you can go on to let the money grow from the beginning in the IRA account, you can use some of it to make the debt payments, even after settlement. However, if your debt problems are minimum and if you think that there are still other options, it would be better to try out those, rather than withdrawing money from IRA accounts. This is mainly because, there are tax consequences of the withdrawal. So, weigh all of the options, and the pros and cons before opting to use the IRA account. This entry was posted in Debt Reduction and tagged IRS Acoounts on 2013/09/24 by ernie.